Check out the list of Free FileMaker Example files below! FileMaker bloggers often link a downloadable example file that shows you how to do their latest tip/trick. What I’ve done here is make one master list, easily searchable without leaving the list, linking every blog article I curate that contains a downloadable file at the original posts’ website. – Vote for your favorites. – Embed the list on your website! Please share with your friends and colleagues, and try out Link.ly yourselves! 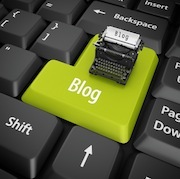 Check out the list below–links to FileMaker example files by bloggers from around the world! Add you own files or check back for new links! Free FileMaker app with design layouts and a link to a pdf with links and more. Link to Network Monitor - a FileMaker solution for monitoring network speed. Two Gmail connection example files from SeedCode, one from DB Services. Download our free Retirement Planning App–built using the FileMaker Platform. We built it to be distributed via the Apple App Store, not Apple's MDM. FileMaker Quick Find Alternatives - Intelligence Avenue Inc.
Two different Quick Find alternatives – both easy to implement – in this Free FileMaker Example file download! Learn how to integrate FileMaker and AWS Services in this video presentation by Jesse Barnum at DevCon 2018, including Free FileMaker Example Files. Download Daniel Wood's Free FileMaker Example File showing how to build a multilingual app. What drives the custom database development world? Business process improvement. This video shows how to wow your customers. Bonus: Link to a Free FM Example File from Douglas Alder with an FM Go time picker. Learn how to automate Twitter with FileMaker! Solving problems with iOS Solutions. Check out our FREE iOS app GuestbookGuru in the App Store! Check out our new project UnfollowMagic FREE, 1.0, 2.0, Gold! Free download of fmEZCharts, the latest way to take FileMaker charting to the next level. 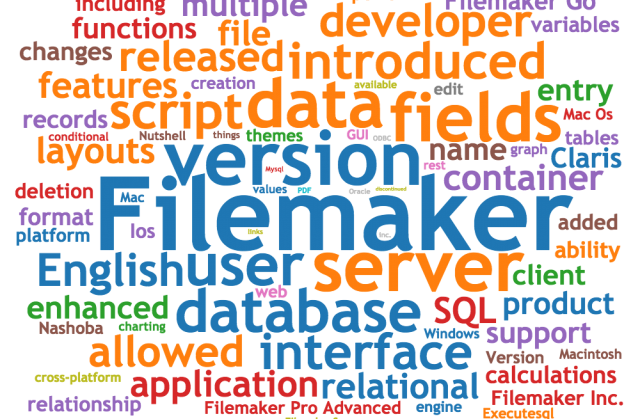 Free FileMaker Inventory Example Files from Daniel Shanahan. Lots of them. FileMaker Inventory explained in the this video with Daniel Shanahan, leading FileMaker Inventory expert, and Don Clark, of FileMaker Pro Gurus. Virtual List Using JSON Arrays - FileMaker Hacks 5 downloadable files. Learn how to speed up your Virtual List reports by combing virtual lists with JSON arrays. Kevin Frank built 5 example files for you to try. A free example file with a full featured PDF viewer. Learn how to use the new FileMaker 17 Create Directories command and get a Free FileMaker Example File from Douglas Alder. And life advice from James Clear. Importing a CSV File into FileMaker Go is trickier than you think, mainly because FM Go does not support it natively. Find out how to do it here. Learn all about the new FileMaker 17 Master Detail feature, from the basics all the way up to advanced tricks sure to please your clients. Free FileMaker Example files, too! Download this Free FileMaker Example File – The FMS Missing Admin Tool – from Claus Lavendt and save yourself a lot of time and grief installing and supporting FileMaker Server 17. Learn more about FileMaker 17 new features such as the Data Migration Tool (2 free downloads), updates, and much, much more. Templates to use for creating your own layout. FMIS is a starter solution, not an off-the-shelf solution. An off-the-shelf solution is built with presumptions about your business and inventory needs. However, FMIS makes very few presumptions. In addition to a minimalistic graph, there are very few scripts in FMIS. Most of your business logic occurs in scripts. You'll need to build that business logic into your version of FMIS. That means that buttons and triggers will need to be defined by you (or your developer). Order Types - a course on the benefits and alternatives to using the universal data model for orders. Storing Quantity Values - instructions on the multiple quantity types (e.g. On Hand, Allocated, Available, etc.) and multiple locations (warehouses and bins/shelves/slots). Inventory Transactions - how to log the movement of inventory into, out of, and through out your company. Navigation - Options for helping users navigate through your FMIS. FMIS uses card windows and therefore requires FMP 16. Please note that card windows do not work on FMP 16's Web Direct. Learn how to integrate FileMaker to the Google Automatic Address Module and easily add it to your FileMaker App. Also, extract water from air with new technology. Free FileMaker Example files and one tip. 4 downloadable example files (Surveys, import help, required fields) and one helpful tip. Thank you for taking the time to share those links. Set of free Filemaker building blocks (mFM Modules) for sorting, searching, dynamic navigation, user management, phone number formatting, etc.